The ‘escape room’ day out is becoming more and more popular in major cities throughout the UK, and having worked closely with some of the designers of puzzles and games recently, we thought we’d take a day away from the world of web design to try out an adventure experience with a difference. Get out – if you can! Escape rooms offer great opportunities for team building and puz zle solving, proving to be exciting days out for colleagues and friends alike. Nottingham is, reportedly, becoming a bit of a ‘game city’ – known for its curios and interesting days out – and the team from SEO CoPilot were able to venture out to enjoy one of the city’s biggest puzzle experiences from nearby Chesterfield. Escapologic are at the forefront of the city’s game experiences and offer a range of themed rooms and puzzles for you and a group of friends to choose from. Each room will present you with abstract puzzles and ponderous posers that you will need to work together to solve. This means that it’s not simply a case of leaving everything up to the team’s resident brainbox – each room is designed to be solved with multiple brains and pairs of hands. What was great about the puzzle experience was the sheer variety on offer. We were given a choice of several rooms to pick from, and Curio, our eventual pick, was renowned for being one of the most frantic. This was too good an opportunity to pass up – all of us love a challenge, and we can safely say that even the most astute amongst us were really tested – and in a good way! You only ever have an hour to try and escape the puzzle room of your choice, meaning that you are always up against the clock. We are also used to working under considerable pressure, meaning that while some of us initially assumed we would breeze through, we were pleasantly surprised to find a more complex and varied set of challenges lining up. While we have worked together for years, we had the chance to really flex our individual mental muscles – working in a team is all about working out who is best at certain tasks and who is more reliable under certain situations. Therefore, we were able to quickly decide who would be responsible for taking on more time-intensive work, who would be on hand to undertake physical tasks, and, of course, who was ideal at arranging most of the planning. While this all may sound rather like a day at the office or on the assembly line, it was incredible fun. The staff are theatrical and really add to the atmosphere of the day – this isn’t an experience that feels forced nor artificial – you really do feel as if you’re being led into a mysterious new world that you will have to work together to escape from. It’s by no means a scary experience at all – it’s actually rather exhilarating! 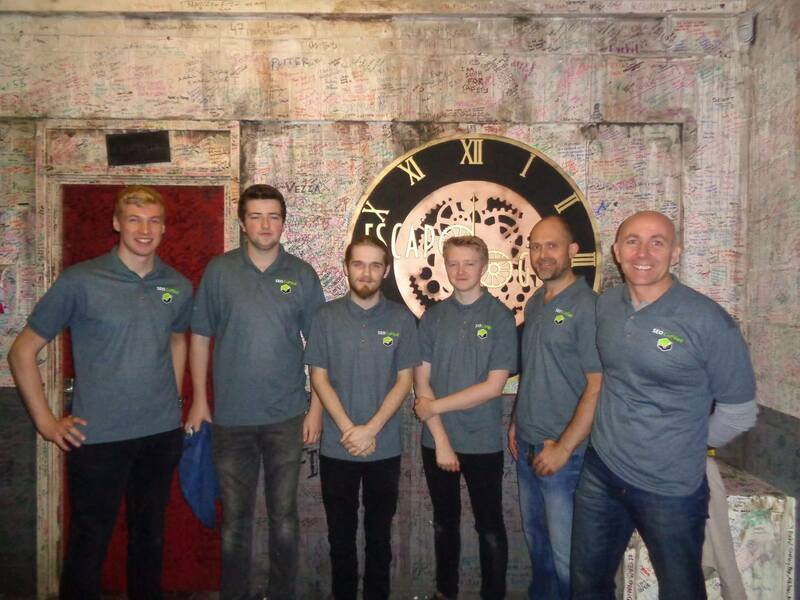 Many of our team hadn’t experienced an escape room before and it was therefore a day out to remember – and there wasn’t a single moment or beat to pull us out of the immersion. The minute we arrived and started taking part, we were part of the story, the narrative – and the hour really flew by. Having worked with the team on a previous project, we were granted an exclusive sneak peek at a new room being developed whilst we were there. Referred to as ‘Heistakes’, it follows the narrative of a daring bank heist that goes incredibly wrong – and it was our job to finish it off. From the glimpse we got, it was clear to see that the time and effort spent on the narratives and atmospheres elsewhere in the building were once again well at work in the new puzzle. Once again, it provided teams such as ours with the ideal opportunity to apply quick thinking, flawless logic and teamwork – making for an unforgettable day out. We love working together as a team and we therefore look forward to our big days out – and while we always aim to do something a little different – from go-karting to paintballing and more besides – the escape room experience was completely off-grid to us, yet we all enjoyed working together to win the day! Will we be back for more? Try and stop us!